Beautiful. 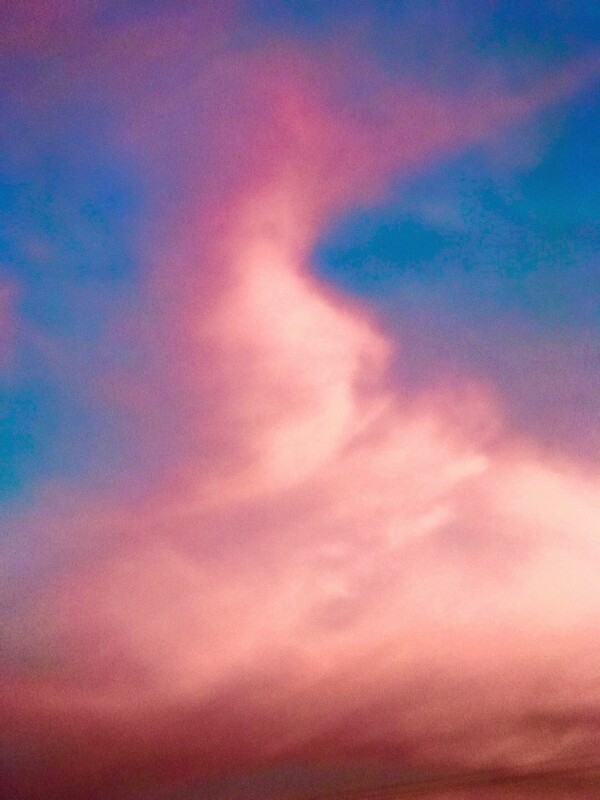 Like a cotton candy tornado. Gorgeous and so pretty on black! Def looks like cotton candy!! Definitely cotton candy- beautiful capture! How do you find all these wonderful clouds?!! !